Make an end-of-year gift to support Chicago-Kent! Chicago-Kent Faculty have had a busy semester in and out of the classroom! 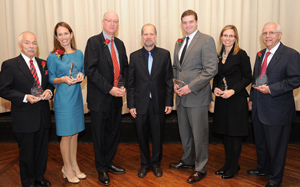 See a sampling of faculty activities in the latest issue of the Chicago-Kent Faculty News. Hopefully by now you've heard about or seen information on the upcoming 125th Anniversary Gala. Save the date to celebrate Chicago-Kent College of Law's 125 Years of Distinctive Legal Education on February 23, 2013! This black-tie gala will be held at the Union Station Great Hall in Chicago. The Gala will be a terrific opportunity to share in our individual and collective accomplishments as a legal community and family. Additionally, this is an excellent opportunity to network amongst our own and "rub elbows" with Chicago's finest. Live music and special guests will make the evening one to remember. Tickets are now on sale, and for more information on the Gala and other celebrations for the 125th Anniversary, visit www.alumni.kentlaw.edu/125. Sponsorship opportunities for the event are still available (contact alums@kentlaw.iit.edu for details) as well as the chance to purchase complete tables. I hope to see many of you there to share in this special occasion. As the end of the year approaches, please consider making a tax deductible gift to IIT Chicago-Kent College of Law. Whether you support our areas of greatest need or the programs that had the greatest impact on you as a student, every gift propels the law school forward and creates a strong Chicago-Kent community. You can give online at www.alumni.kentlaw.edu/give, or call (312) 906-5240 to receive information by mail or email. The Chicago-Kent Alumni Association will host a group swearing-in at the Bar of the U.S. Supreme Court on Monday, March 4, 2013. If you are interested in participating, please fill out the Information Form by Monday, December 3 to reserve your spot. Our group is limited to 50 participants and only a few spots remain! Please see www.alumni.kentlaw.edu/supremecourt for additional information. After five and a half years as Director of Alumni Relations for Chicago-Kent College of Law, Tara Anderson will be leaving Chicago-Kent to pursue an exciting new opportunity at the University of Minnesota’s School of Public Health next year. Her last day at Chicago-Kent will be December 21. Kayla Portillo, Assistant Director of Alumni Relations, has also transitioned to a new position with the IIT Stuart School of Business effective November 30. We look forward to introducing you to the new Alumni Association team this spring, and thank Tara and Kayla for their dedicated service! During the transition, please direct any questions or requests to the main Alumni email account at alums@kentlaw.iit.edu or (312) 906-5240. Wednesday, December 5, 2012 | 5:00-7:00 p.m.
Thursday, January 24, 2013 | 5:00-7:00 p.m.
RSVP to alums@kentlaw.iit.edu or (312) 906-5240 by Jan. 18.
on the Gala Host Committee or sponsoring the event. Saturday, February 23, 2013 | 11:00 p.m.-3:00 a.m.
RSVP to alums@kentlaw.iit.edu or (312) 906-5240 by 2/22. Wednesday, December 5, 2012 | 5:00 p.m.
RSVP to Erin Bauer at ebauer1@kentlaw.iit.edu or (312) 906-5241 by December 4. Save your spot today! Visit www.alumni.kentlaw.edu/supremecourt for more information. Thursday, January 17, 2013 | 1:00-4:45 p.m.
Tuesday, March 12, 2013 | 11:30 a.m.-1:00p.m. 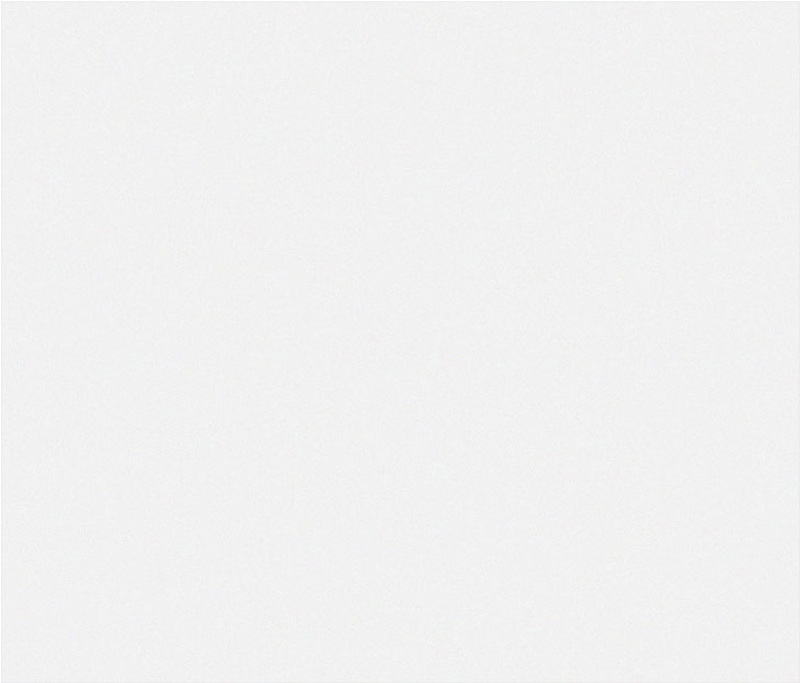 Thursday, March 21, 2013 | 3:30-5:35 p.m. The Institute on the Supreme Court of the United States (ISCOTUS) and the Chicago-Kent Law Review hosted a symposium on the Supreme Court and the American Public, featuring a keynote by Hon. Richard A. Posner of the U.S. Seventh Circuit Court of Appeals. (L-R): Roy C. Palmer ’62, Kathleen M. McDonough ’94, Stephen Poor on behalf of Seyfarth Shaw LLP, Dean Harold J. Krent; Matthew T. Jenkins ’07, Kathryn M. Woodward ’02, and John J. Pikarski, Jr. ’69. Hon. 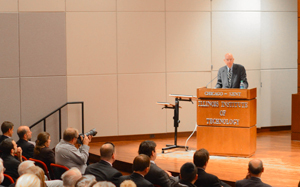 Richard A. Posner spoke on "The Supreme Court and Celebrity Culture" on Thursday, November 15. Connect with fellow alumni & students in your practice area with our LinkedIn Subgroups! Labor & Employment Alumni Group and the Intellectual Property Network. joining the official Chicago-Kent LinkedIn group, and then joining the subgroup conversations!